WASHINGTON, D.C. -- A man who drove to a security checkpoint near the White House in a car that was deemed suspicious has been detained by the U.S. Secret Service. 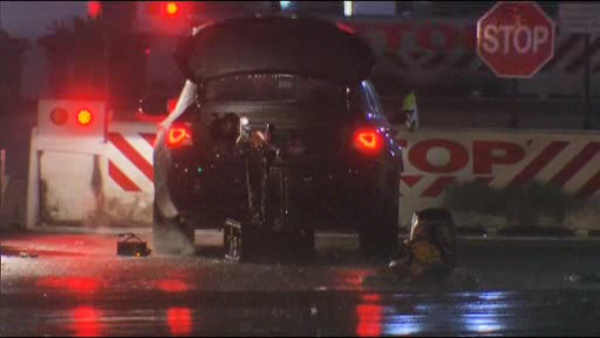 The car was stopped Saturday night about a quarter-mile from the White House. The Secret Service says it's investigating. It hasn't said what caused the car to be considered suspicious. Republican President Donald Trump wasn't at the White House because he and his family are spending the weekend at his resort in Palm Beach, Florida. Earlier Saturday someone jumped a low metal barrier just outside a White House fence. About a week earlier a man breached an outer perimeter fence and scaled a vehicle gate to gain entry to the White House grounds, raising questions about lapses in security under the Secret Service's watch.